Oscar-nominee Uma Thurman has been injured in a horse-riding accident but is expected to recover. 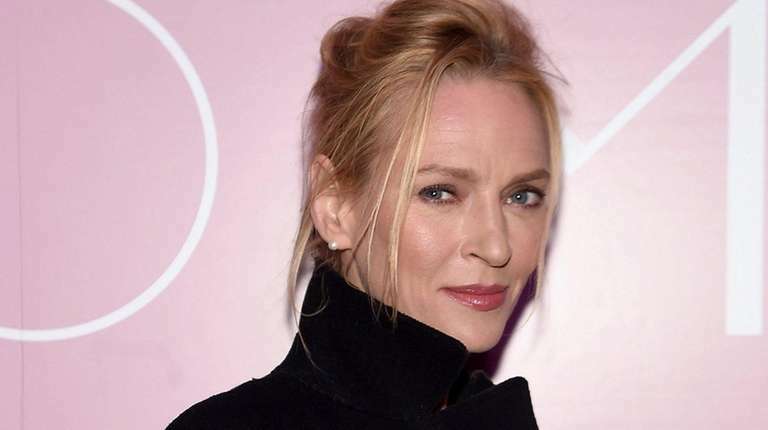 The “Pulp Fiction” and “Kill Bill” star, 46, “was in an equestrian accident,” Thurman’s spokeswoman, Leslie Sloane, told Newsday in a statement. “She was training on a young thoroughbred who got spooked. She was thrown and broke a few bones.” No details were given of when or where the recent accident occurred. Before the accident, Thurman’s interest in equestrianism was not widely known. The model and actress had posed in an immense, baroque red dress astride a giant rocking horse in an ornate room for photographer Koto Bolofo and creative director Andrea Marzagalli in the 2014 calendar published by the Italian spirits brand Campari. There is coincidentally a champion jumping horse named Uma Thurman, ridden by Tallulah Tepper last year to win the ASPCA/Maclay Medal at the Gold Coast April competition in Burbank, California. Thurman, an ensemble star of the 2015 NBC miniseries “The Slap” and a supporting actress in last year’s Bradley Cooper movie “Burnt,” most recently filmed the caper comedy “The Brits Are Coming,” starring with Tim Roth as a British con-artist couple who have fled to Los Angeles. No release date has been announced.